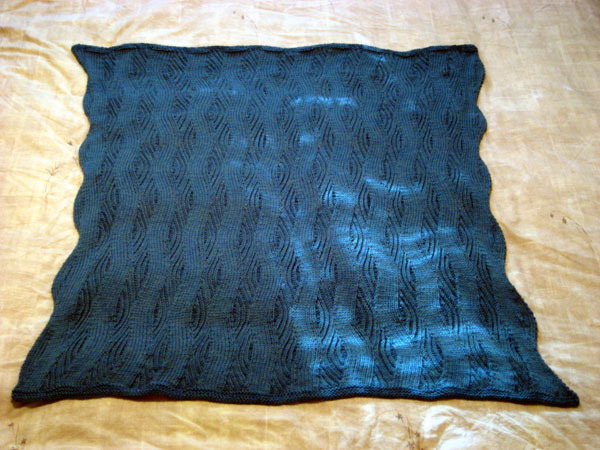 I made this baby blanket for Kevin using the Horizontal Waves pattern from the Vogue Knitting Stitchionary Volume One. 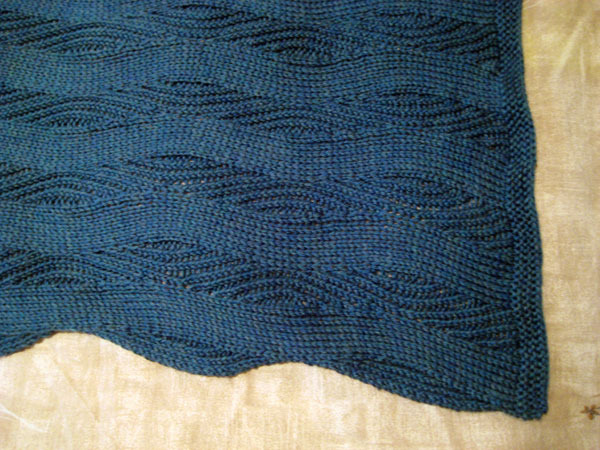 The yarn is KnitPicks Swish Worsted 100% superwash merino wool in Tidepool Heather and it was knit on US 8 needles. I tend to avoid long projects (hence only 1 knitted scarf, 1 blanket, and no sweaters). But baby blankets seem not quite so intimidating. Baby blankets are easy because you don’t have to worry about fit. I haven’t posted it yet but I made my brother a sweater. I hate the thing. I need to get a zipper sewn on and get it out of my house. Never happening again, haha.